Wow! This adorable little girl is only two years old and she already knows our Pledge of Allegiance. 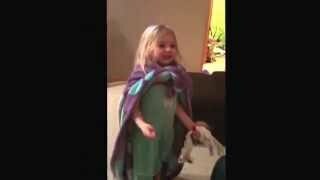 2 Year Old Saying the Pledge of Allegiance and Singing God Bless America.